The rand ended the day at R14.46/$, as uncertainty in the markets impacted emerging market currencies. The rand ended the day's session at R14.46 to the US dollar. The local currency had opened at R14.21/$. Media company, Tiso Blackstar Group issued a shareholder notice advising that financial results for the period ended December 31, 2017 had been retrospectively adjusted to "account for investments in Robor and the CSI disposal group as discontinued operations". "The results for the period ended 31 December 2017 have also been amended in accordance with International Financial Reporting Standards, as the interest in KTH is no longer accounted for as a non-current asset held for sale ... but rather accounted for as an investment in associate being equity accounted and tested for impairment annually with reference to the KTH portfolio valuation," the notice read. Basic earnings changed from 19.02c per share to a loss of 14.91c per share. Headline earnings changed from 20.44c per share to 38.26c per share. Investment holding company Brimstone increased its beneficial interest in vessel company Oceana from 16.98% to 22.88%. Telkom on Friday afternoon announced that Standard bank will no longer be its sponsor on the JSE, as of June 30, 2019. The role will be rotated to Nedbank, which will take over as sponsor from July 1, 2019. "The board of directors wishes to thank The Standard Bank of South Africa Limited for the service provided during its tenure." Telkom's share price opened at R77.25 on Friday morning. The share was trading at R77.07 just before the announcement at 15:25. OVERVIEW: European stocks fell with US equity futures and Treasuries rose after miserable data from the German manufacturing sector renewed worries about global growth on Friday. The yield on Germany’s 10-year bonds - Europe’s benchmark - tumbled below zero. Banks and industrial goods shares led the Stoxx Europe 600 lower after the purchasing managers’ data badly missed forecasts. Sovereign bonds in Europe quickly reversed earlier losses and the euro erased a modest gain, helping push the dollar up against most major peers. Contracts on the S&P 500, Dow and Nasdaq indexes pointed to a weak opening. The yield on benchmark Treasuries, already at a more-than-one-year low, extended its decline. Gold headed for its best week since early February. Earlier in Asia, a late-day turnaround put benchmark stock indexes in Japan, Korea and Australia back into the green. The surprise to stock and bond markets pulled the MSCI index of global equities down from its highest level since October, eroding some of the optimism that the Federal Reserve’s dovish tilt could prolong the bull market for stocks. Bonds, however, were already signaling investor worries that momentum in growth and inflation remains too subdued. Hours before the 10-year yield tumbled in Germany, its counterpart in Japan fell to the lowest since 2016, New Zealand’s dropped below 2% for the first time and Australia’s was approaching an all-time low, as the world’s major central banks wound up another week showing they can’t yet tighten policy. Trade talks between the US and China are scheduled to continue next week. Elsewhere, sterling advanced after European leaders moved to stop a chaotic no-deal Brexit from happening next week, handing the UK an extra two weeks. The UK now needs to decide by April 12 what it will do next. The Stoxx Europe 600 Index fell 0.8% as of 08:31 New York time. Futures on the S&P 500 Index decreased 0.6%, the biggest dip in more than two weeks. Germany’s DAX Index fell 0.8%. The MSCI Asia Pacific Index rose 0.3%. The MSCI Emerging Market Index dipped 0.3% on the largest decrease in two weeks. The Bloomberg Dollar Spot Index rose 0.3%. The euro decreased 0.7% to $1.1298 on the largest dip in more than two weeks. The British pound gained 0.3% to $1.3152, the biggest gain in a week. The yield on 10-year Treasuries sank six basis points to 2.47%, the lowest in more than 14 months. Japan’s 10-year yield decreased three basis points to -0.069% on the biggest tumble in 11 weeks. Germany’s 10-year yield dipped five basis points to -0.01% on the largest dip in more than two weeks. New Zealand’s 10-year yield fell two basis points to 1.997%. Australia’s 10-year yield dipped five basis points to 1.837%, the lowest in more than two years. The MTN Group's South Sudan unit said it’s investing at least $30m in revitalising and expanding its operations as a new deal to end a five-year civil war brings relative peace to much of the country. Reviving transmission sites, upgrading to 3G and adding new coverage - they’re all planned by MTN South Sudan, one of the two remaining mobile-phone operators in the country. After a period of cutbacks for the unit, the expansion is a sign of confidence in the East African nation roiled by violence and economic chaos whose warring sides signed a peace accord in September. Is Palladium's hot streak over? Palladium has been one of the hottest commodities for a while now, but analysts think this year may be the time to book profits. Prices have rallied to fresh records on tighter supplies of the material mainly used in gasoline vehicle autocatalysts. But analysts surveyed by Bloomberg see the metal ending the year 15% lower than now, partly as shortages are priced in and car sales in key markets slow. Prices have jumped in recent years as autocatalyst manufacturers scrambled to get hold of the metal to meet more stringent emissions controls, particularly in China. That’s also helped fuel even bigger gains in lesser known sister metal, rhodium. For palladium, scarce supplies have created a lucrative business where investors lease out metal from exchange-traded funds to meet demand. "EM's are under pressure as Turkey's President reacted to President Trump's comments on recognizing Israeli sovereignty over the Golan Heights, which has plunged the region into a new crisis. "New uncertainty has swept through EM's and the rand is currently at 14.40 against the US dollar. "European PMI numbers also came out disappointing, and the euro is currently trading at 1.1300. The effect of both events has caused a run to the US dollar, and has put the rand and other EM's on the back foot." 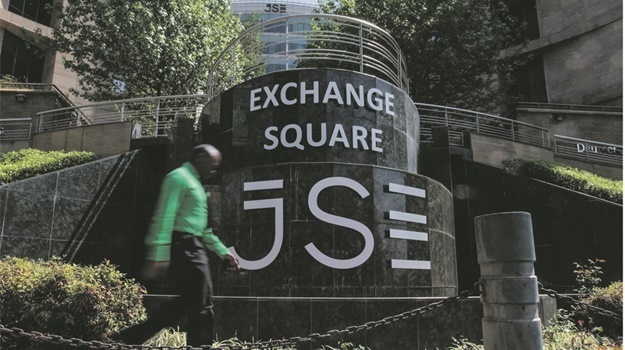 The rand has clung to its gains despite load shedding, says Bianca Botes, Corporate Treasury Manager at Peregrine Treasury Solutions. "A strong recovery in the rand over the public holiday, following Wednesday’s dovish Fed statement saw the rand gain close to 2% against the USD and 1. 2% against the euro. "This created an excellent opportunity for ZAR holders to obtain foreign exchange. While Eskom continues with rolling blackouts that will see the rally in the rand under pressure, their intensity has been reduced. "For the first time in almost a week, the power utility is implementing Stage 2 Load shedding during the day rather than Stage 4. "The markets will keep an eye on both US and EU manufacturing PMI today, as well as new home sales from the US. The rand is at R14.22 against the greenback, with an intraday range of R14.16 to R14.30 expected for Friday," she said. "While most of South Africans were enjoying a day off, the market was not on holiday. The dovish Fed stirred the markets as the dollar index fell to as low as 95.735 and this helped ZAR test 14.13 whilst we were away. "US stocks surged to five-month highs yesterday as the S&P500 and the Nasdaq both climbed 1.09% and 1.42% respectively with Apple’s share price rising 3.7%. "The US 10-year benchmark yield fell to as low as 2.5% which has been its lowest point for over a year. "The EU gave Theresa May a two-week extension to get her deal through parliament and this now effectively pushes the deadline to April 12. The dollar has since slightly found some positives on upbeat unemployment numbers overnight."